Today I cased a halloween idea in to a Christmas idea. This little treat basket was so easy to make. 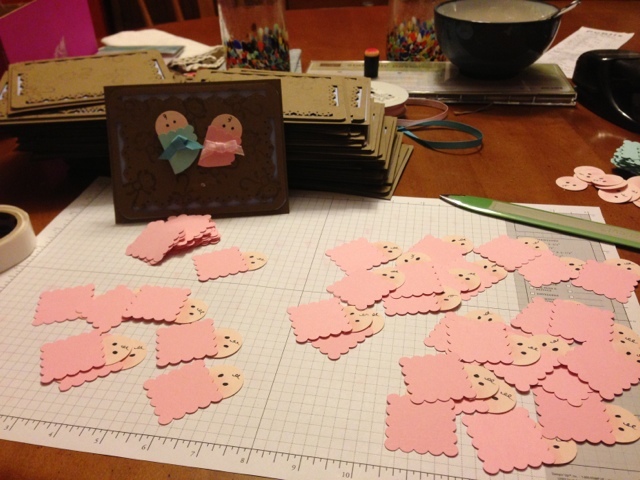 I will have plenty of varieties available at Crafty Feast on December 15. 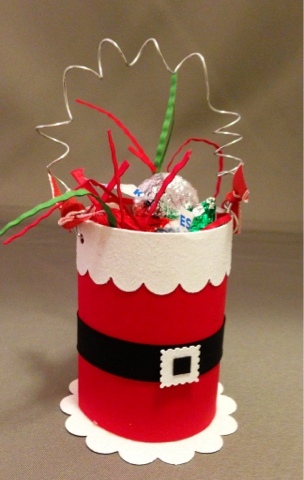 I was able to use scraps to make the Santa basket! It’s such a treat when I can use scraps. 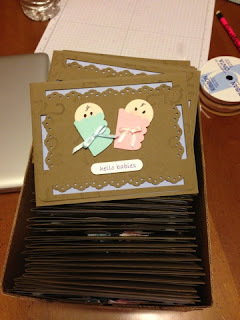 This week I was busy creating baby announcements for a set of twins that were born in October. I hope their mommy and daddy love them. Lots of hand paper punching on this card… 50 made and shipped.